Many of you know me (Doan) from USASBE or my blog, or my research, but you may not know Justin Wilcox, the passionate entrepreneur driving TeachingEntrepreneurship.org. With this post, we pull back the curtain and introduce our wizard! Let’s Dive Deeper . . .
Justin and I did a one-on-one interview so you could hear his perspective in depth. How did Justin come to build curriculum for university professors? As mentioned above, Justin started a healthcare software company, but realized that he built a product nobody wanted to use. He studied what went wrong in his entrepreneurial journey, eventually finding Steve Blank’s Customer Development model, one of the precursors to The Lean Startup. He hadn’t learned how to empathize. While he learned how to write code in school, and build innovative products at Microsoft, innovation was meaningless if it didn’t lead to impact. To create impact, he had to learn how to see the world from his customer’s perspective – to feel what they felt. To become a better innovator, he had to become a better empathizer. At the time Justin discovered Customer Development and Lean Startup, they were largely theoretical concepts with little practical guidance on how to apply them. 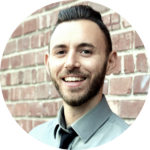 So Justin started developing, documenting, and teaching, ways to practice integrating empathy into the entrepreneurial process. Professors faced the same challenges turning Lean Startup theory into action that he had. Why work with academics instead of entrepreneurs? The big draw for working with academics is the impact multiplier we enable. By collaborating with professors, Justin learned he could have a larger impact because we as professors work with hundreds of thousands of students every year. 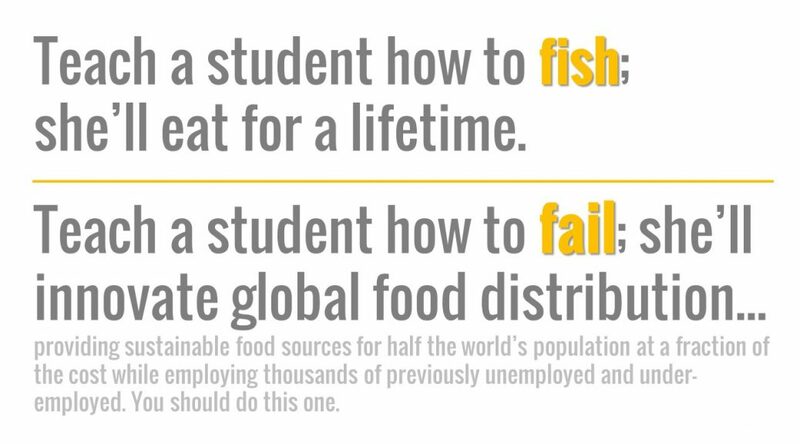 By helping us teach our students how to understand other people’s perspectives (empathy) and how to sustainably solve their problems (via business model validation), our combined impact can be much larger than if Justin worked solely with entrepreneurs. Our whole is greater than the sum of our parts. Where would he like to see entrepreneurship education go? Justin practices what he preaches, and he’s heartened by professors who act the same way. Measuring their impact with metrics. Justin wants to see more professors treat students like their customers and engage with them to build better courses. These principles work. The more we apply them, the better we can teach them. What most exciting about ExEC’s Fall Pilot? We’ve implemented a system for students to give us emotionally-driven feedback on every exercise. Students tell us, and their professors, how they feel about each exercise. The insight from this is super exciting for both of us. The aggregated feedback helps us know how students feel about their course, so together we can iterate and improve them. Looking forward, what is most exciting is our ability to turn that data into engagement analytics so professors know in real time exactly how their students are feeling, and how exactly they are engaging with the material. What’s the next step with ExEC? Justin is busy updating much of the underlying technology for a streamlined experience for professors and students. We are keeping our Spring cohort fairly small; there are only about five spots still available. Then you’re a perfect candidate to be an ExEC Pilot, and you can shape the way entrepreneurship is taught. If you’ve read this far – thank you – you deserve a little extra. What’s one thing that very few people know about Justin? He holds a Guiness World Record. Want to know for what? Shoot him an email or ask him at the upcoming USASBE conference! Want to work with Justin and I to change Entrepreneurship? If you’re a progressive entrepreneurship professor interested in getting your hands dirty in the name of improving entrepreneurship education join us and you can play a significant role in reshaping how entrepreneurship is taught at colleges around the world. ExEC is an experiment to see if we can revolutionize how entrepreneurship is taught in college classrooms. Halfway through our first pilot semester, we wanted to share the results so far – warts and all – so the entrepreneurship education community at large can learn along with us. Across these institutions, we have nearly 500 undergraduate students using the curriculum. Just as ExEC challenges those 500 students to do, we’re testing the curriculum’s assumptions and iterating its design. Here’s what we’ve found so far. We want students engaging with their customers, discovering problems that can be solved instead of just thinking of new ideas to create. ExEC provides professors with comprehensive lesson plans, and constant support, so you can create experiences like this that will excite students about experiencing entrepreneurship. We want students having real conversations with real customers about the customer’s problems. This is the essence of entrepreneurship, and a skill we heard most professors struggle teaching. After half a semester, we are confident the pilot students are engaged in their class experience. Through that engagement, we see them developing an entrepreneurial mindset, and honing their customer interviewing skills. We preach iteration because there’s no way to get everything right the first time around – and that’s the case with ExEC. Here are a couple areas we need to focus on going forward. We created too much content. We originally wanted to arm our professors with more experiences and exercises than they could ever use, so they could build a customized syllabus specifically for their class. ExEC has 30+ experiential exercises, which is simply too many for one semester, especially when life readjusts the class schedule, as it did with Hurricane Irma for a couple professors. Based on the exercises students find most impactful, we’re streamlining ExEC’s content to focus on a subset of activities. We were so excited to share ExEC with as many schools as possible, we initially weren’t as rigorous as we should have been in restricting access. ExEC has a lot of moving parts, several of them untested before this semester. We should have started with a slightly smaller, more targeted, pilot cohort so we could iron out ExEC’s wrinkles (details below) more efficiently. Having been through trial by fire this semester, we think we have a handle on the major issues. That said, we’ll be limiting access to our upcoming Spring Pilot, just to err on the side of caution. There is one area we really missed the mark this semester. Because of it, we’ve already started the redesign process. We made some incorrect assumptions about the technical comfort of some of our students and professors – which really means we made poor design choices on our end. While our professors certainly aren’t stupid, and we (hope we) aren’t incompetent, any experience that makes even a subset of customers feel that way needs to fixed immediately. We’ve already begun making to several exercises, but there’s more work to do. We’ve started redesigning both the professor and student experiences from the ground-up; while the content will largely remain the same going forward, the way professors and students interact with it will be completely revamped. So far, this has been a perfect pilot! Not perfect in that we got everything right – we certainly haven’t – perfect in the sense that this is what pilots are for. With the help of our amazing pilot professors, we’ve been living the Build, Measure, Learn loop. Next up, we’ll polish our rough design edges so everyone feels confident engaging with the content! Check out ExEC and schedule a preview. We’ll accept a handful of programs into the Spring Pilot, which will not only get you early access, as you can see, you’ll also play a significant role in reshaping how entrepreneurship is taught at colleges around the world. Learning from failure is one of the most important skills our entrepreneurial students need to learn. It’s also one of the most difficult to teach. We can talk all day about running experiments and testing assumptions, but ultimately they’re a waste of time if our students can’t successfully extract learning from failed experiments and invalidated hypotheses. The trick to teaching failure is that our students have grown up in an environment where they are taught to avoid failure at all costs. They are taught to fear failure. In fact, many of your students’ previous teachers leveraged a fear of failure to compel your students to behave a certain way: do busy-work, memorize lists, etc. 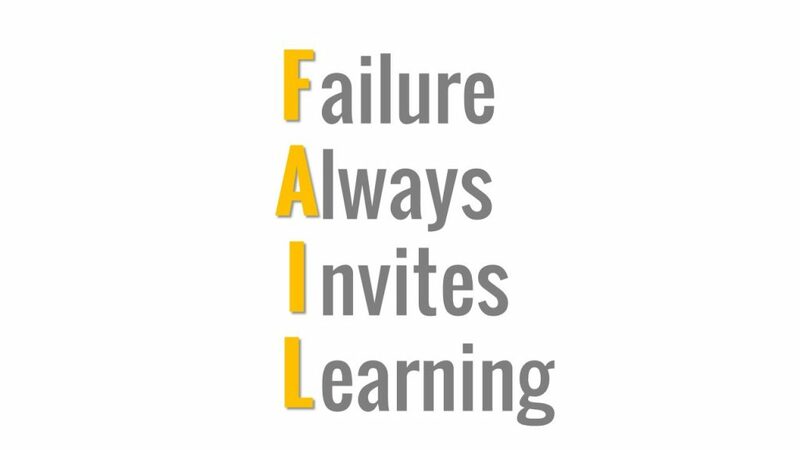 As entrepreneurship educators, we need to create safe places for our students to engage with failures, so they can practice extracting knowledge from them. Fear failure less – they will realize on a personal level that they can learn more from failure than from success. Increase their confidence – entrepreneurship is less scary when you know even if one experiment fails, you’ll succeed in creating the foundation for the next. Take calculated risks – which are prerequisites to thriving in an innovation economy. 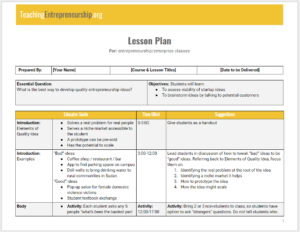 The Currency Testing lesson plan below will guide you through creating a constructive experience for your students to learn from their first entrepreneurship failure. 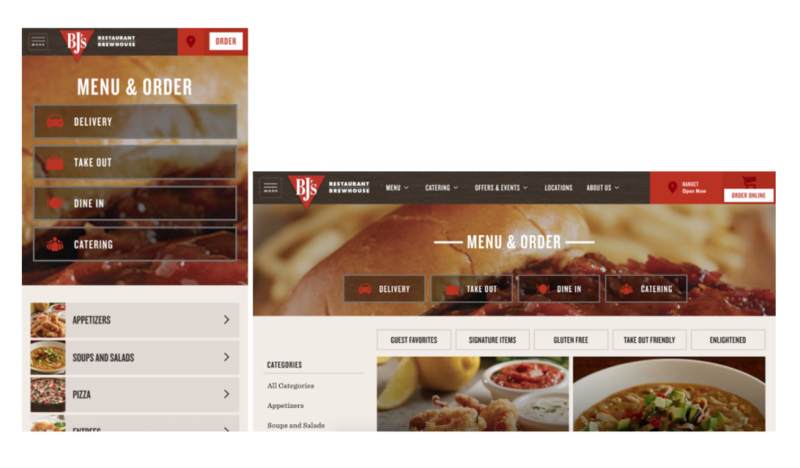 In our last exercise, your students launched an MVP, without a line of code. (If you haven’t read that exercise, you’ll want to now. Not only is it a blast, you’ll need to know it for this Currency Testing exercise). Launching the product is easy. It’s selling the product that’s hard. In fact, it’s so hard, your students will likely fail their first time around, just like most entrepreneurs, which is the point of this exercise. As your students begin to focus less on what they want to build, and more on what other people want to buy, they’ll be eager for you to teach them problem validation. At the heart of this exercise is something called a “Currency Test.” A currency test is simply an experiment where entrepreneurs test if customers are willing to pay some form of currency (e.g. cash, attention, data, etc.) in exchange for a product. A currency test is a much more powerful experiment than asking customers, “Would you use this?” or “How much would you pay for this?” because it’s forces them to put their money where their mouth is. Where it’s easy for a customer to say, “I’d definitely use that” to a hypothetical product, entrepreneurs will learn how customers really feel, when they’re asked to break out their wallets. Best of all, the results of a currency test are always helpful.Either the test succeeds and the entrepreneur validates demand for their product, or it fails and the entrepreneur gets to ask what’s preventing their customers from buying, so they can improve their next iteration. Your students will conduct their currency test using the MVPs they built. When they struggle to get currency (which they will, because like most first-time entrepreneurs their MVPs were more product-focused than customer- and problem-focused), their experiment will fail. They’ll be wondering why they couldn’t find customers for a product they thought was such a good idea, and at this point they’re primed. Why being problem-focused is essential in entrepreneurship. Why talking to customers before building is the key to success. The value of identifying marketing channels. How important marketing copy is. In the postmortem, students answer questions related to what they learned about their customers and problems, and about marketing and selling their product. They’ll also begin to see first-hand the value of problem validation and testing their business model assumptions. The postmortem also will model an approach to analyzing failures they can use in your class, as well as throughout their careers to overcome failures they and their products, teams, and companies will encounter in the future. If you want to change your students’ relationship toward failure, if you want to instill in them the skills they need to not just recover from failure, but thrive because of it, give the Currency Test Lesson Plan a shot. We’ve created an experiential, 45-minute, Teaching Failure Lesson Plan to help you prepare your students to learn from failure. It encapsulates everything we’ve talked about above plus a few surprises! Which Customers Should Students Interview? 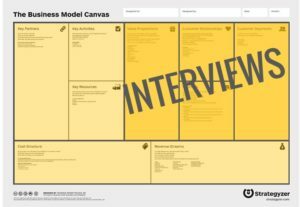 In our last article, we used the business model canvas to describe why students should interview their customers. We also talked about how to motivate your students to actually conduct those interviews. If you haven’t read that article yet, please do that now. If you have, let’s talk about some of the common problems your students will experience when they get out of the building to talk to customers. The consequence of simply interviewing the wrong customers. 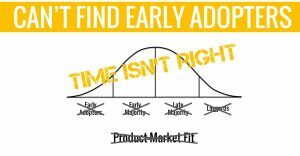 Effective entrepreneurs interview their early adopters, so we need to teach our students who early adopters are and how they can find theirs. Customers don’t buy products. Customers buy solutions to problems. Your students shouldn’t think about early adopters in terms of their relationship to a product. We want them to think about Early Adopters in relationship to a problem. 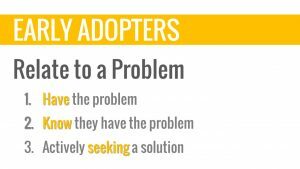 Early adopters are people who have the problem that your students want to try and solve, know they have that problem, and. . . Early Adopters are actively seeking a solution to their problem. 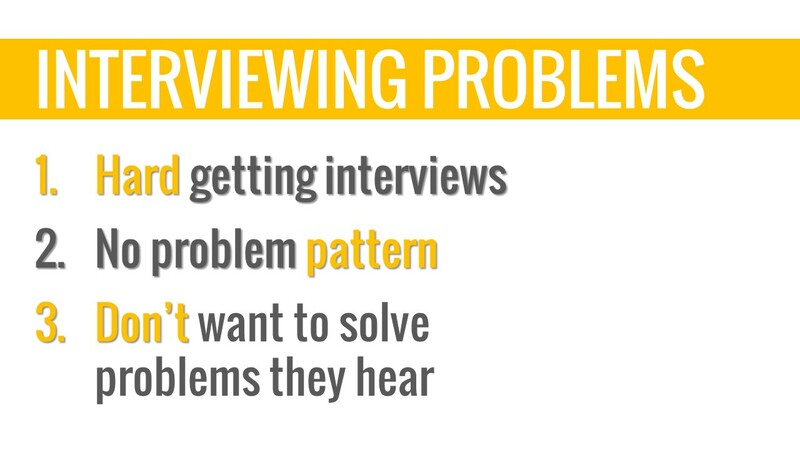 These customers, who are seeking a solution to their problem, are the ones you want your students to interviews. If your students can find, and interview, their early adopters, they will have accomplished the single-most important aspect of finding Product-Market Fit. 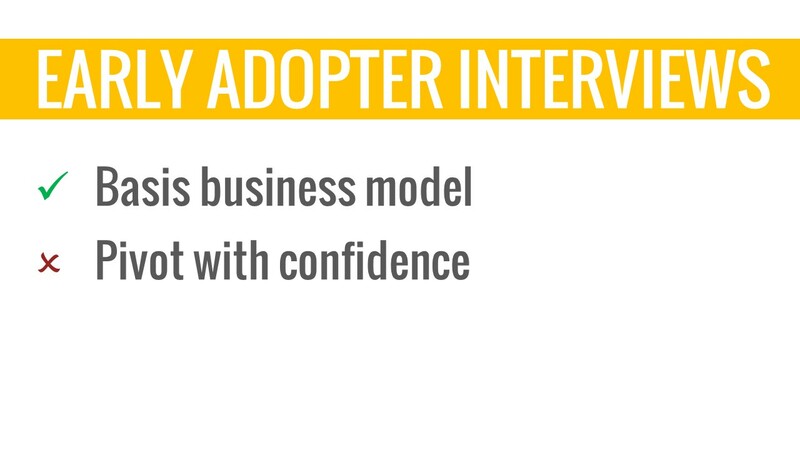 All told, interviewing early adopters will validate almost half of your students’ business models. 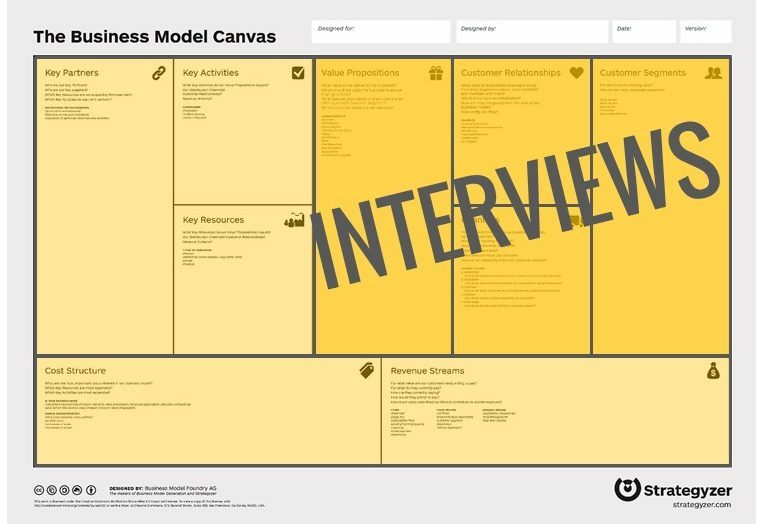 Plus, these interviews will form the basis of their experiments for the rest of the business model canvas. On the other hand, if your students can’t find early adopters, they won’t have anyone to provide social proof to the early majority. That means they’re not going to find anyone who’s going to bring on the late majority or the laggards. 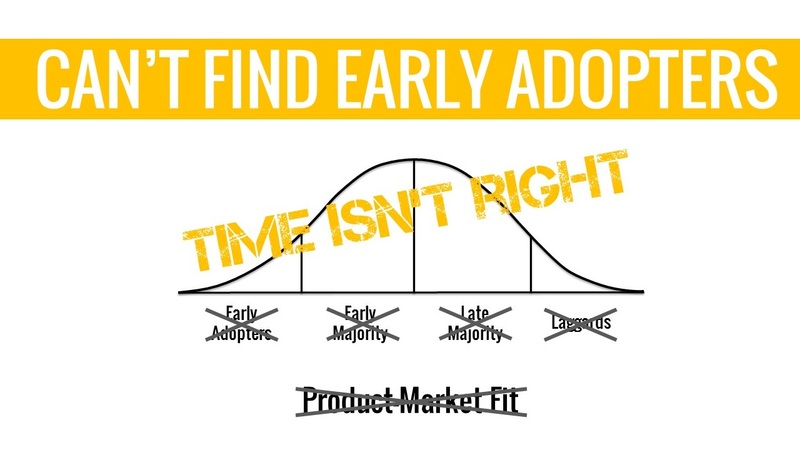 If they can’t find early adopters, it is very unlikely your students are going to find Product-Market Fit. If your students can’t find people seeking a solution to a problem, it doesn’t mean the problem doesn’t need solving. It doesn’t mean that the business idea is bad. It means the time isn’t right to solve the problem. If your students can’t find anyone seeking a solution to this problem, now is not the opportune time to try solving that problem. 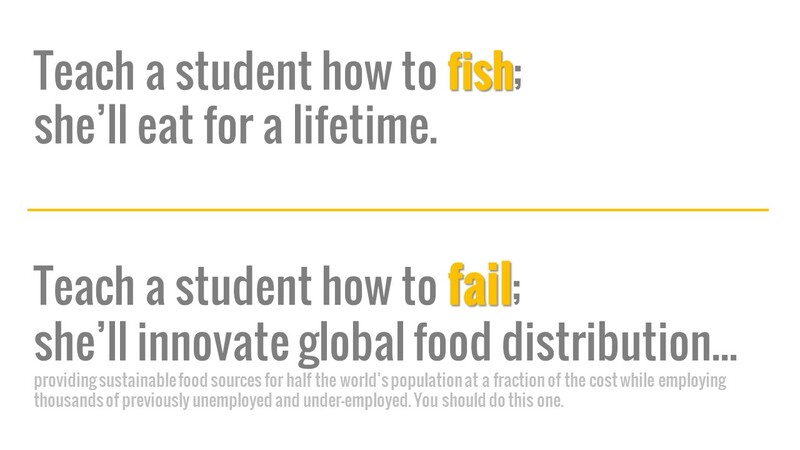 Your students could be too early to solve this problem, or they could be too late. We know that now is not the right time. By trying to interview early adopters, your students can form the basis of their business model if they find them. If your students don’t find them, that’s helpful news as well, because they can pivot with confidence. If your students can’t find people seeking a solution to the problem, it’s better to know now than later, so they can another problem to solve that’s more likely to lead to their success. When you teach your students how to find early adopters, you may find it easiest to contrast early adopters with the early majority, late majority, and laggards, especially if you can a case study to do it, like Airbnb. 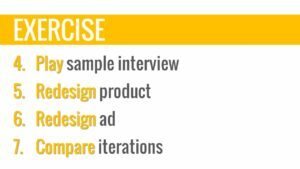 Start by describing the problem your case study company solves. In this case, the problem Airbnb was trying to solve when it got started was that it was too hard to find cheap hotel rooms during a conference. Next, describe the concept of laggards, people who literally don’t have the problem the entrepreneurs are trying to solve. Because they don’t have the problem, they don’t know they have the problem, and they’re not seeking a solution for that problem. An example laggard for Airbnb’s early days might be someone attending a conference but their company pays for their room. Or someone who can expense any hotel costs they have, so they don’t worry about the cost. Contrast that to the late majority. This is someone who has the problem the entrepreneurs want to solve, but doesn’t know it; they are not aware they have the problem. If your students are ever trying to convince someone they have a problem, they are likely talking to someone in the late majority. These are some of the worst people sell to, because they are not aware they have the problem. Someone who doesn’t know they have a problem is rarely willing to talk about solving that problem, and if someone won’t talk about solving a problem, they certainly won’t pay to solve it. It’s important that you educate your students about the late majority, otherwise they’ll try to “educate” all their customers to convince them they have a problem, and won’t make any traction. In AirBnb’s example, a member of the late majority might be someone who charges the hotel room to a credit card, even though it’s too expensive for their budget. They may simply think this is the cost of doing business and not even realize they’re getting charged exorbitant fees for a room in high-demand. Compare the late majority to the early majority. These are customers who know they have the problem, but are not seeking a solution to it. Maybe they have experienced the problem, and acknowledged it’s an annoyance, but they haven’t been so disturbed by it that they sought a solution. Or maybe they did seek a solution, and either found one that was good enough, or they didn’t, and assumed the problem wasn’t solvable. No matter what, a member of the early majority isn’t actively seeking a solution now (but will jump on one if they hear about it from an early adopter). In the Airbnb example, a member of the early majority might be someone who skips the conference because they can’t find a cheap hotel room. They know rooms are too expensive. They searched for cheaper rooms online, but they couldn’t find something to fit their budget. They had other problems to solve so maybe they gave up and simply decided not to attend the conference. The last, and most important, group is our early adopters. These customers not only know they have the problem the entrepreneurs want to solve, but are seeking a solution to that problem. In the Airbnb example, an early adopter might be someone posting on the conference discussion group asking to share a room to lower their costs. Or maybe they’re searching the hostels in the area to find an affordable room. 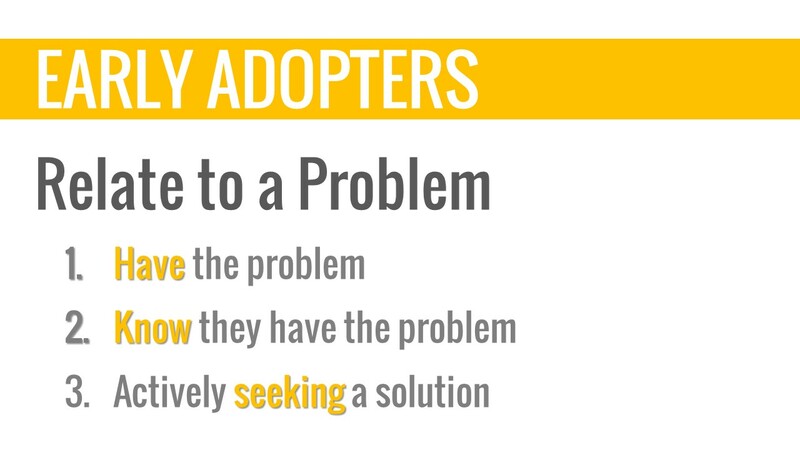 To find these all-important early adopters, your students should brainstorm behaviors that indicate someone is seeking a solution to the problem. In the Airbnb example, the behavior would be “posting on a forum for a room share”, so to find those early adopters, the founders would simply look on the design forum. Your students should avoid interviewing anyone who is not an early adopter for the problem they want to solve. That’s because if your students interview non-early adopters, they will discover problems entirely unrelated to the problem they are trying to solve – and problems few people actively seeking solutions for. We don’t want your students getting distracted by these other problems – we want them to validate, or invalidate their current problem hypothesis. To do that, your students’ best bet is to focus their attention on their early adopters. 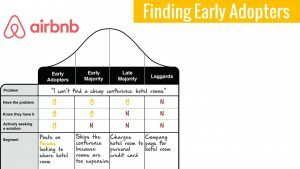 Your students can use their customers’ solution-seeking behavior to tell them where their early adopters are. Another case study that’s fun to use is Uber. Have your students think about the early days of Uber. The problem they were solving was the difficulty finding a cab in a big city like San Francisco. Ask your students to describe a laggard in the Uber example. Maybe it’s someone who doesn’t take cabs at all – maybe they ride their bike everywhere. Next, ask your students to describe an member of Uber’s original late majority. An example example could be someone who takes cabs but is often late. This segment, the late majority, take it for granted and don’t think cabs could be faster. To them, it’s part of their daily routine and they don’t think it’s a problem. Now ask your students to identify behaviors exhibited by an early majority customer. Remind them this is someone who knows they have the problem. Maybe they have a black cab service on speed dial. They don’t want to use regular cabs because they’re too slow, so they’ll pay the extra price for a black cab service. The early majority is someone who has a solution that’s good enough for now. Finally ask your students to identify behaviors exhibited by an early adopter. Remind them that early adopters are seeking a solution. They could be reading reviews on Yelp to find the fastest cab service in San Francisco, or they could be leaving reviews complaining about the slow response time for certain cab companies. Remember: students should use early adopters’ solution-seeking behavior to find them for interviews. We’ve created an experiential, 45-minute, Who are Early Adopters Lesson Plan to help you teach your students who to interview. It encapsulates everything we’ve talked about above. In this article we described who early adopters are and how to find them. That will help your students conduct better interviews. They will get more interviews. Your students will find consistent problem patterns because they’re talking to people who are trying to solve that problem. And Your students will find problems they want to solve because they’re not talking to late majority or laggards. If they interview their early adopters, your students will form the basis of their business model. If they can’t find early adopters to interview, they’ll know isn’t the right time to solve the problem they hypothesized and they will have the confidence to pivot (to a backup idea they generated through their problem generation process). In future articles, we’ll talk about who your students should target for interviews, and what to ask during them. If you’d like those lesson plans, subscribe here to get them in your inbox. Most entrepreneurship teachers are familiar with how powerful customer interviews are in validating a business model. But how do we motivate our students to leverage that power? 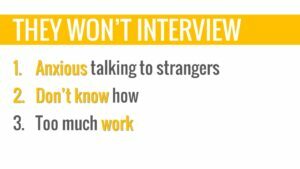 So often our students resist conducting customer interviews. They’re nervous about talking to strangers. No one’s shown them how to do this interviewing thing. They don’t learn this technique somewhere else. They’ve never seen or heard sample interviews. They are overwhelmed; it feels like too much work. 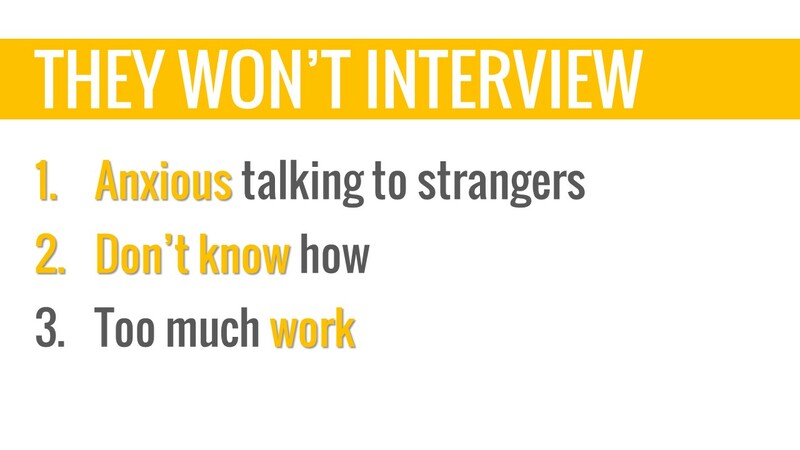 Students have to find people to interview, ask them for the interview, and conduct and analyze the interview. All the while, they’re worried about looking and feeling stupid. The most powerful business model validation tool we have at our disposal: customer interviews. The first step of this approach is to provide the underlying business model theory so they understand why customer interviews are a critical step in their validation journey. We’ll show you how to use the business model canvas to help you do that. But that’s not enough to get your students talking to customers. You’ll also need the second step, which is to invite them to experience the transformative power of customer interviews by observing a real interview during an experiential exercise. Be sure to download the Lesson Plan below for full-details. How do you communicate to your students that customer interviews are the critical component of business model validation? If you use the Business Model Canvas or the Lean Canvas, use them to illustrate this point. Most students point to the Customer Segments or Value Proposition components. Those are both correct, customer interviews will help them directly validate those components. Customer interviews will help your students validate assumptions for almost half of their business models. The business model assumptions that interviews don’t validate directly will be validated indirectly because everything is derived from the top right corner of the business model canvas. 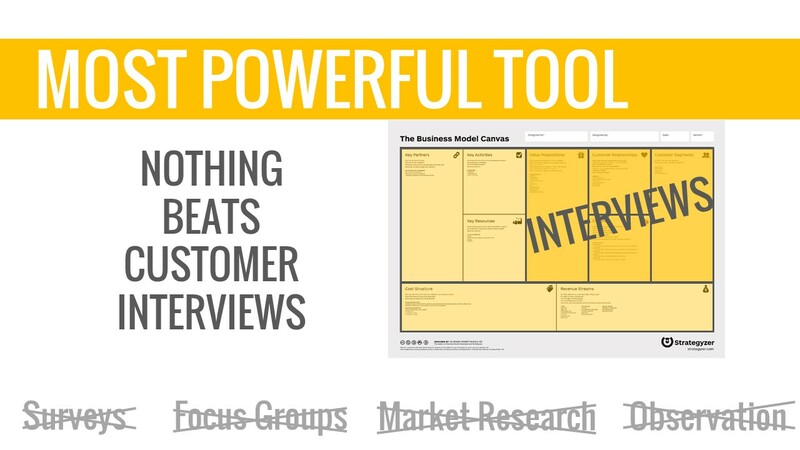 Customer interviews are the most powerful tool we have for validating business models. 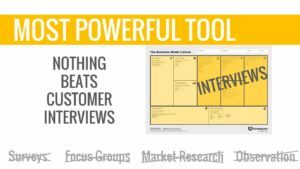 Well-executed customer interviews are far more useful than surveys, focus groups, market research or observations. Every hypothesis your students make can be validated with them, or as a direct result of what they learn during them. 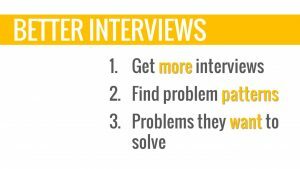 Once you’ve described why these interviews are so important, it’s time to let your students experience the power of customer interviews first hand. To do that, we invite you to run an exercise with them. 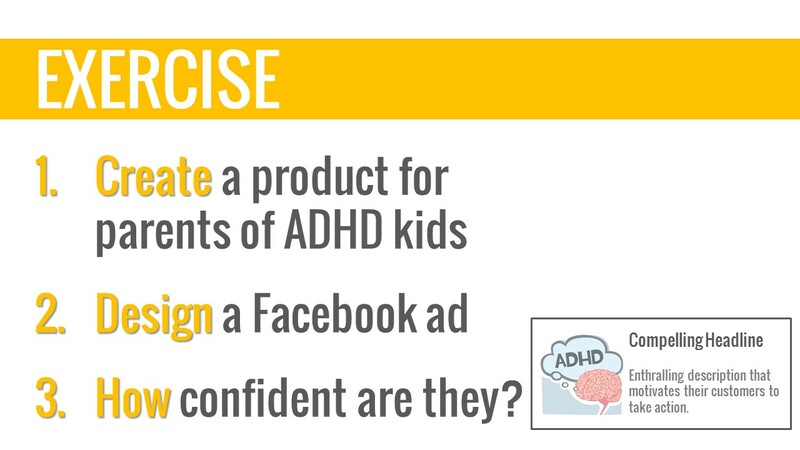 First, ask your students to create a product for parents of children with ADHD. You can do this individually or in teams, whatever fits your class best. The assignment is to design a product for this customer segment. Note: many of of your students will have no clue how to serve this customer segment and will find this step of the exercise challenging…which is exactly what you want. A description that motivates their customer to take an action (e.g. Click here to learn more, Buy now, etc.). 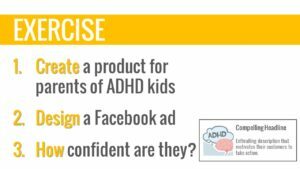 Once your students have completed both steps, discuss how confident they are they’ve got a product customers will buy, and a compelling ad for that product. During this discussion, highlight the difficulties they encountered coming up with a product in a vacuum, and how difficult it is to come up with a compelling marketing strategy (or even one ad) without speaking to customers. Next is the really fun part. 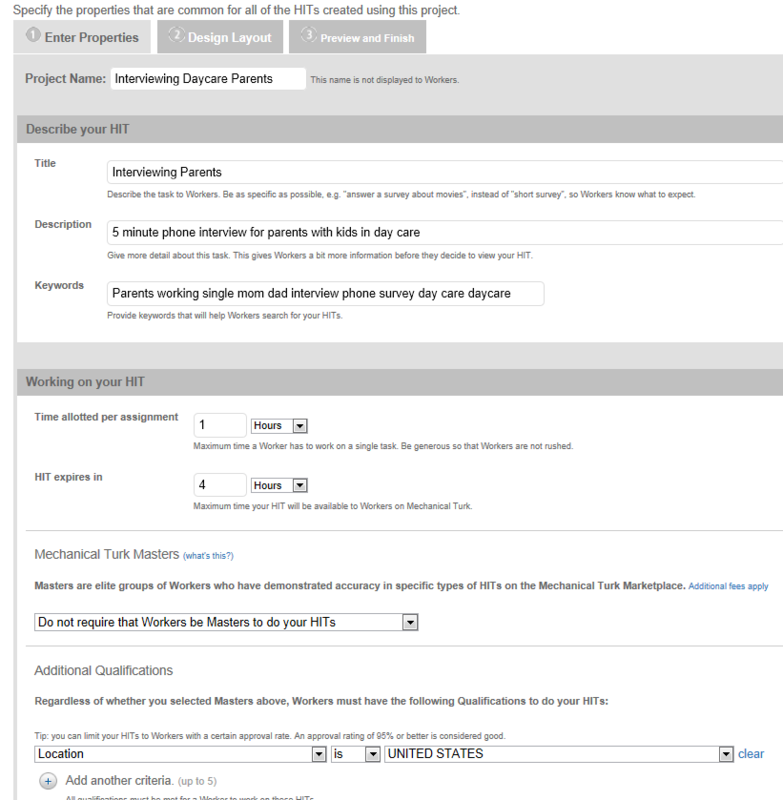 In the lesson plan below, we’ve included a recording of a sample customer interview with the parent of a child who has ADHD. Play that interview for your students. The solutions the mother has tried to solve those problems. These three things – the problems, the emotions invoked by those problems, and the attempted solutions to the problems – are customer interviewing gold. Those are aspects on which we build all the components of a business model going forward. Have your students listen to the interview so they can hear how informative these conversations can be. The first seven minutes of the recording is the interview itself. It’s worth noting that although this was an interview with a real potential customer, it was conducted as a demonstration. Most interviews your students will conduct will be 30-60 minutes long. The following ten minutes of the recording are a group of students and I discussing what they heard during the interview. Consider listening to this section of the recording if you think it will help prepare you to answer questions your students may have. 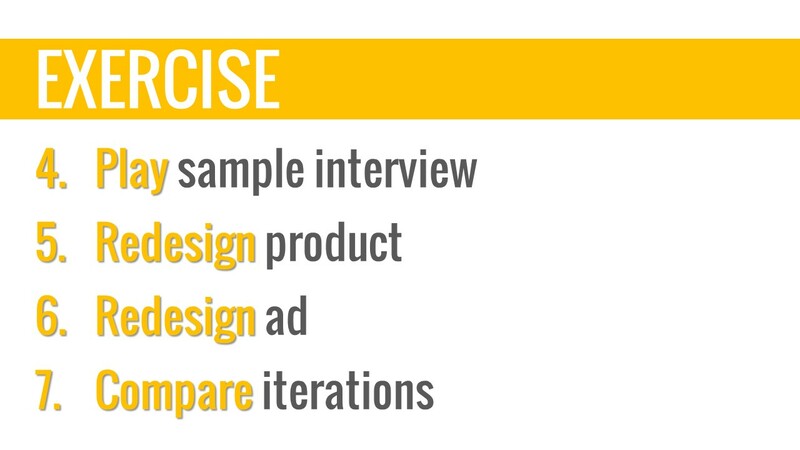 After listening to the interview, invite your students to redesign their product. This time they get to leverage the fact that at least one mother of a child with ADHD has a problem getting that child to sleep. They also know that mother is worried about what sort of coping mechanisms her child will need once she’s an adult. 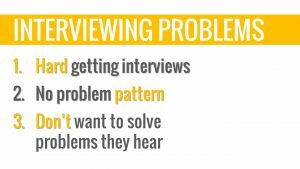 Your students should use the problem they heard during the interview as inspiration for their new products. For any company they start, your students can leverage the conversations they have with their potential customers to design their company and the product. Once they’ve designed their product, have them redesign their Facebook ad. During this phase, make sure your students leverage the guilt and frustration they heard from the mother. After they’ve built their new ad, open a second discussion comparing and contrasting what it was like building a product in a vacuum without speaking to customers versus building a product and ad inspired by customer interviews. Talk about the benefits of collaborating with customers to create a product, and how doing so can help them market that product as well. Talk about how willing the customer was to talk about her problems, and how she seemed to enjoy the experience (i.e. people enjoy being genuinely asked about their problems so they shouldn’t feel like they are imposing on their interviewees). Nothing accelerates the creation of a successful product more than talking to your customers about their problems. Now that you know how to help your students feel what it’s like to use customer interviews as the inspiration for a new product, and can explain their relationship to the Business Model Canvas, you have the tools to motivate your students to do their own customer interviews. For more details, take a look at the complete lesson plan we’ve provided below, including the link to the sample interview recording. We’ve created an experiential, 45-minute, Experiencing Customer Interviews Lesson Plan to help you motivate your students to talk to their customers. It encapsulates everything we’ve talked about above. 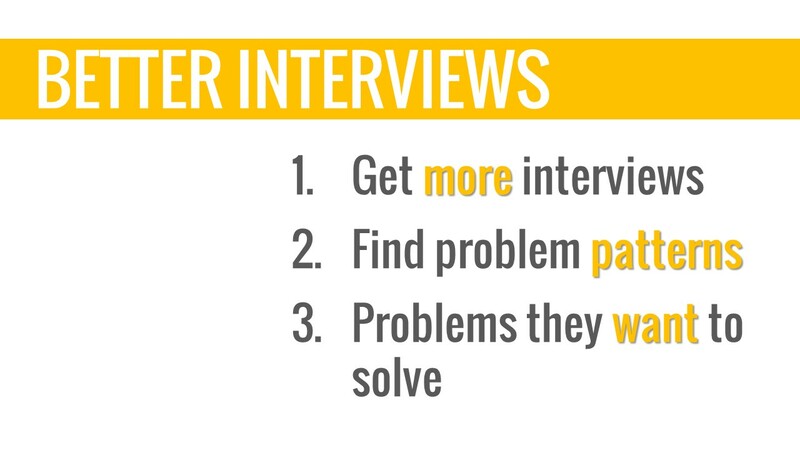 Use it as a basis to motivate your students to interview customers. They need to become comfortable interviewing customers. If you want your students to interview customers so their solutions are more powerful, try this technique in your next course.